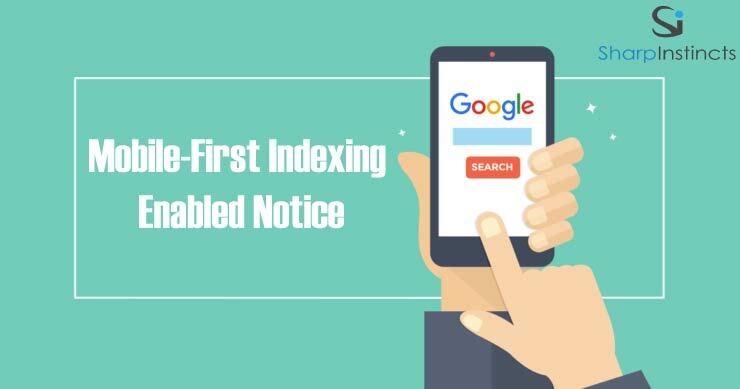 Did You Receive Mobile-First Indexing Enabled Notice from Google? 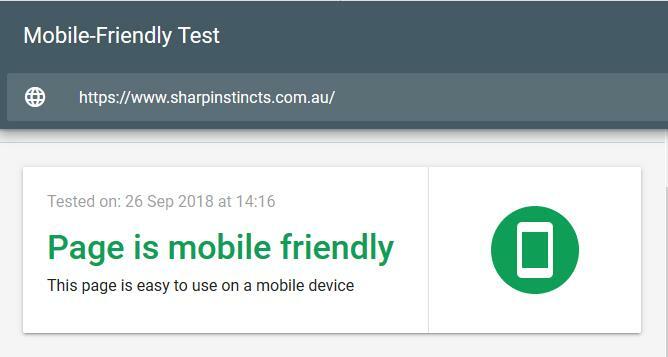 Have you received a notice from Google that your site is now enabled for mobile-first indexing? So if you received a mobile-first indexing notice, trust me, you are not alone. As per Google Webmaster Central Blog: Mobile-first indexing means Google will predominantly use the mobile version of the content for indexing and ranking. Historically, the index primarily used the desktop version of a page’s content when evaluating the relevance of a page to a user’s query. Since the majority of users now access Google via a mobile device, the index will primarily use the mobile version of a page’s content going forward. We aren’t creating a separate mobile-first index. We continue to use only one index. With mobile-first indexing, Googlebot primarily crawls and indexes pages with the smartphone agent. We will continue to show the URL that is the most appropriate to users (whether it’s a desktop or mobile URL) in Search results. Will It Affect My Rankings? Google has clearly stated in a blog post that it won’t have an impact on your rankings. – Mobile-indexing is rolling out more broadly. Being indexed this way has no ranking advantage and operates independently from our mobile-friendly assessment. – Having mobile-friendly content is still helpful for those looking at ways to perform better in mobile search results. – Having fast-loading content is still helpful for those looking at ways to perform better for mobile and desktop users. – As always, ranking uses many factors. We may show content to users that’s not mobile-friendly or that is slow loading if our many other signals determine it is the most relevant content to show. Who is Affected By Mobile-First Indexing? 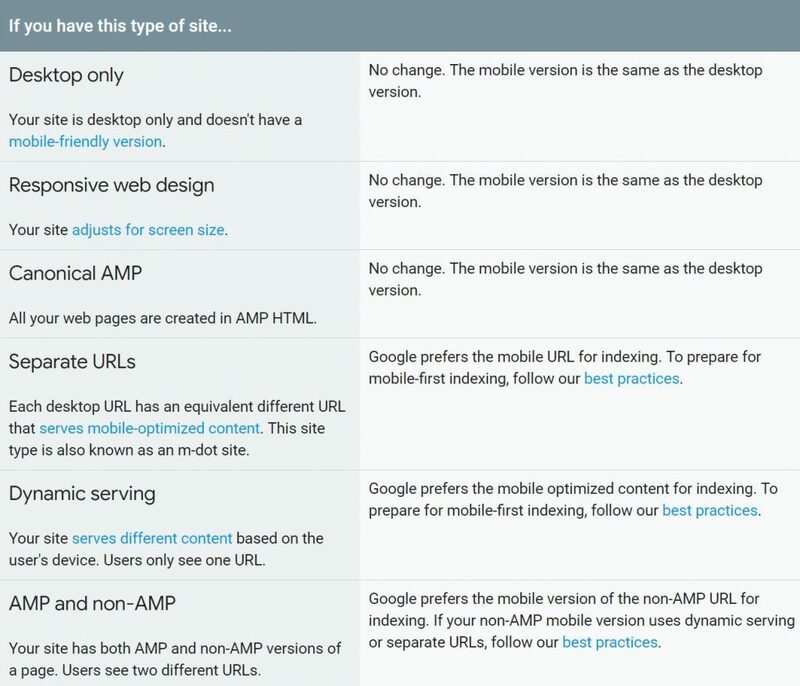 Google has clearly mentioned in this post: Best practices for mobile-first indexing that what kind of websites will or will not be affected by mobile-first indexing. Following table from that post shows the impact on each kind of website. How Do I Ensure That My Website Is Mobile Friendly? Don’t worry. Mobile-first indexing doesn’t mean your rankings will be hurt in Google. If you have a responsive website or you a have mobile optimized site then you won’t see any drop in rankings due to Mobile-first indexing. If your website is not mobile friendly and you want to take advantage of the mobile-first indexing, and you don’t know how to do it yourself, you can contact us by calling 1800 189 787. Please comment below if you or your clients have received the mobile-first indexing notice via Google Search Console? We are looking forward to hear your thoughts. If you found this blog post helpful, then don’t forget to share it on social media.